2018 re-release! 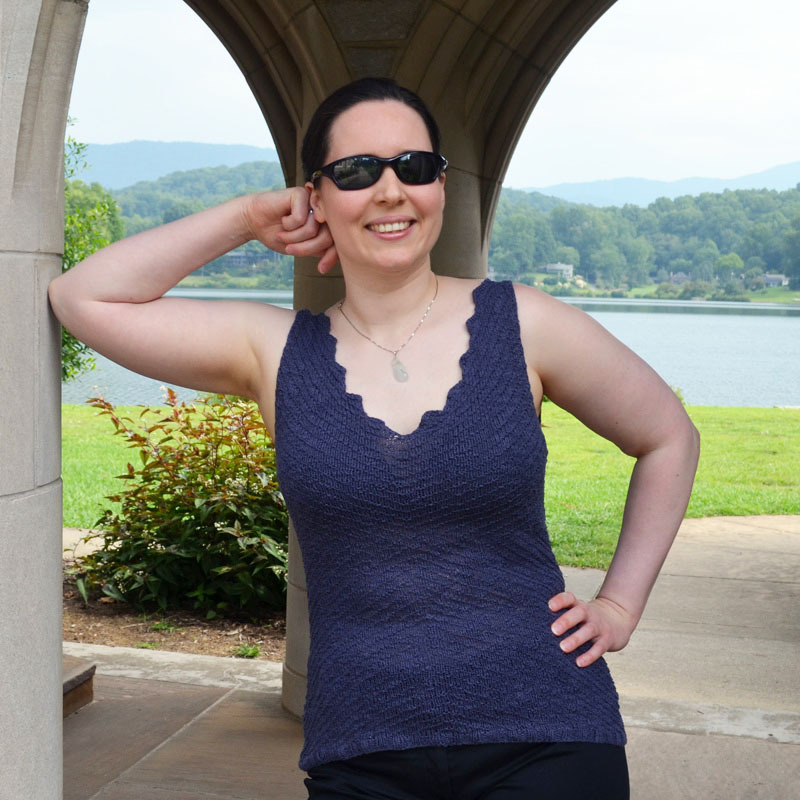 Inspired by the mesmerizing patterns formed by soft breezes blowing the water’s surface, Lake Breeze Tank accentuates your curves, flattering your feminine form. 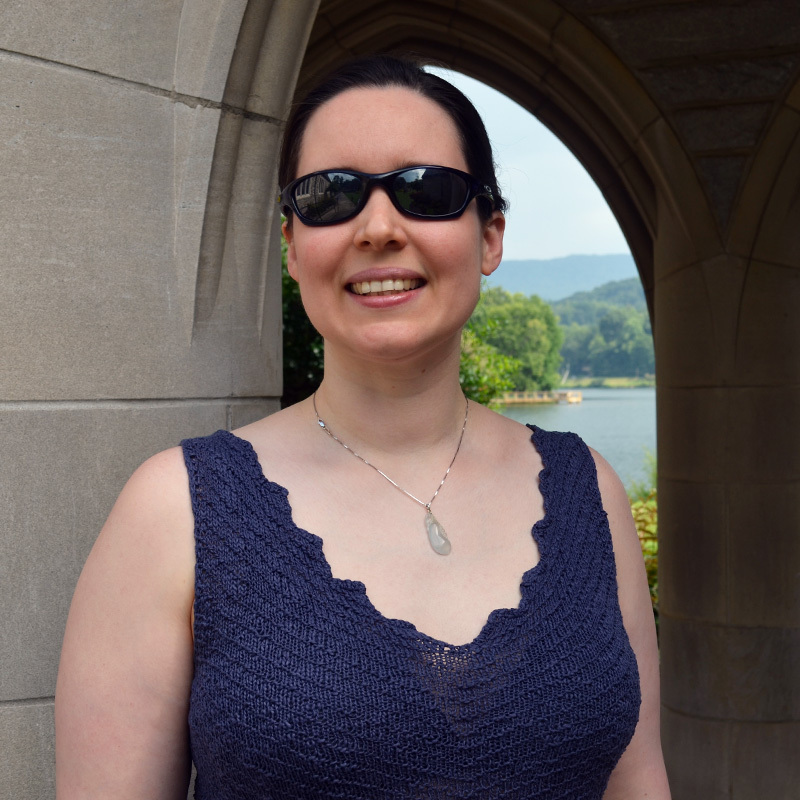 From the hem up, diagonal lines converge inward at your natural waist and diverge out to create a beautiful line up your shoulders. The unique stepped neckline draws the eye towards your face. 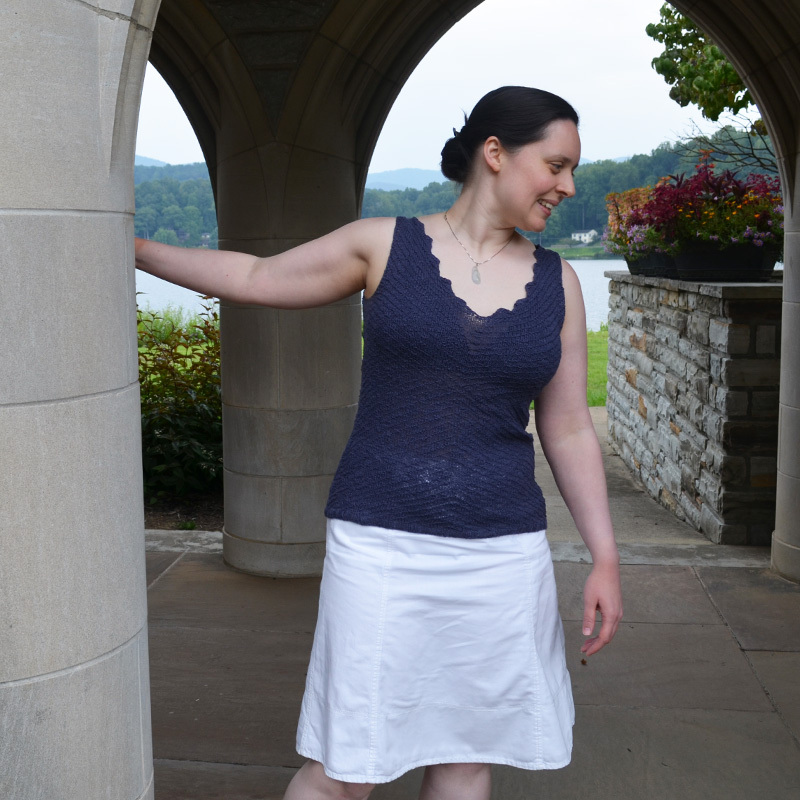 Fun to knit and wear, make Lake Breeze Tank your choice for an enjoyable day on the water or lunch out with friends. The tech edited pattern is fully written with the pattern repeats (including the decreases and increases) charted and a schematic. 20 sts and 42 rnds over 4”/ 10cm in pattern stitch using US 5/ 3.75mm circular needles. swatch, see how it stretches and grows. • If you achieve the intended drape in your swatch and are between sizes, go down a size as the shaping is form fitting. • Written directions pages 2-5, charted repeats pages 6-7, schematic back page.